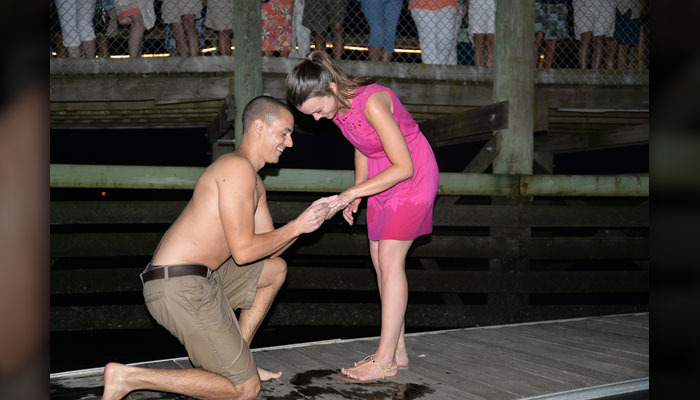 Man proposes to girlfriend on dock, drops ring into water, strangers help look for it, and 1.5 hours later it is found. Man proposes to girlfriend (again) and gets it on her finger this time! 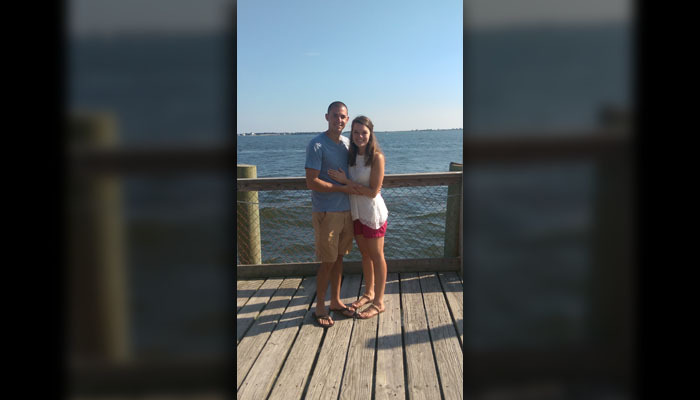 A Charlotte-area couple certainly has an engagement to remember after the soon-to-be groom dropped the engagement ring into the ocean while attempting to propose. Kayla Harrity, 24, works for the Town of Waxhaw. She and her boyfriend, 25-year-old Matthew Picca, are on a vacation with her family in Southport, NC when he decided to surprise her with a proposal. 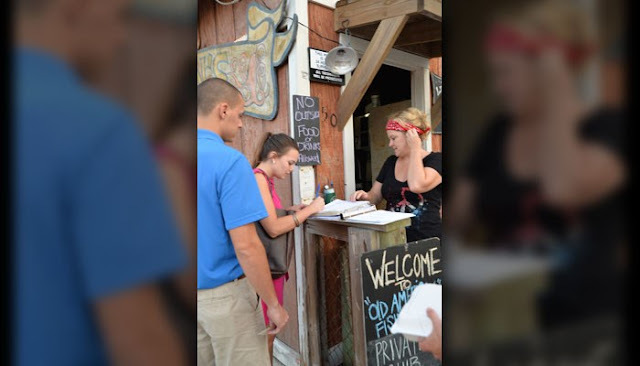 Kayla says the couple went to Old American Fish on Saturday and she saw Matthew's mother. "I turned around and he was getting down on one knee," Kayla recalled. "As he opened the ring box, the ring fell out of the box and fell through the cracks on the deck and into the water. I didn't even get to see it before it dropped." Kayla says everyone was in total shock and speechless. "I covered my face and began to cry because I knew my boyfriend was devastated," she said. "Matthew did not even get to say anything to me before the ring fell into the ocean." Almost immediately, Kayla says, several people went down to the boat slip underneath the bar and jumped in the water and started looking for the ring. 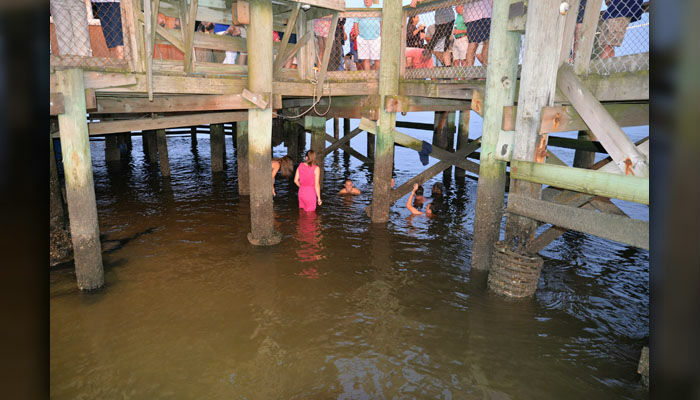 Kayla's brother-in-law, sister and Matthew all jumped into the water, fully clothed, to search for the ring. "At the bar, there were three men who were enjoying a beer who saw the whole thing," she said. "They must have felt bad for us and did not want to see our engagement end like this. They jumped in the water and helped look for the ring." Kayla says her sister thought Matthew had a special case on his phone and stuck it under the water to use as a flashlight. It didn't have the case. Now his phone is ruined. "I began running to the neighboring restaurants asking if anyone had goggles," she said. "I knew if we had some we could find the ring." She says people were handing the group flashlights and a local ran home to get some goggles for the crew. 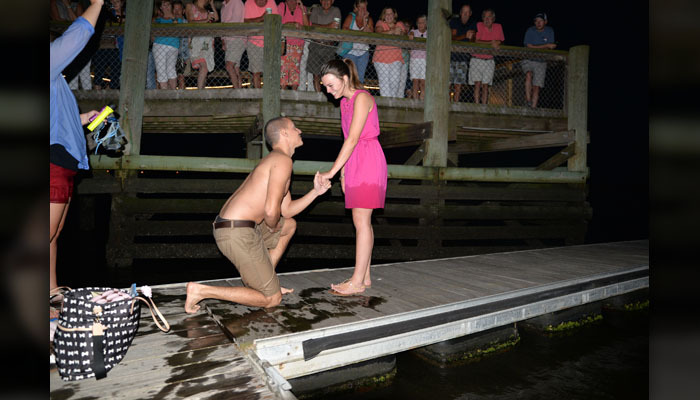 "After ten flashlights, and five pairs of goggles and over 1.5 hours of searching in the water...the ring was found!" Kayla said. A man named Kyle Blusher found the ring and yelled out. "Everyone at the bar was cheering. All of a sudden, everyone was chanting 'Propose again! Do it again! '," Kayla recalled. "It was the best feeling in the world. My fiancé, soaking wet, smelling like salty, fishing water, proceeded to get down on one knee and put the beautiful ring on my finger!" "The energy of everyone at the bar was incredible. It was a total shock that he even found the ring," she continued. "We walked upstairs and bought the men who helped us a round of shots. 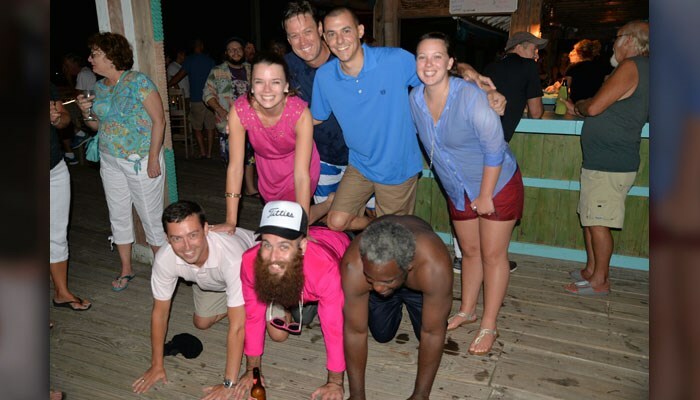 They were amazing and we are so grateful to have their help that night." After staying at the bar for about an hour, the couple took a romantic carriage ride around Southport. "When we got back, people were still coming up asking to see the ring," Kayla said. "They said everyone in Southport was talking about it. It was definitely a night to remember!" She says the couple hopes to get married in Southport next year and would like to thank everyone that helped them find the ring. 0 responses to "Man proposes to girlfriend on dock, drops ring into water, strangers help look for it, and 1.5 hours later it is found. Man proposes to girlfriend (again) and gets it on her finger this time!"